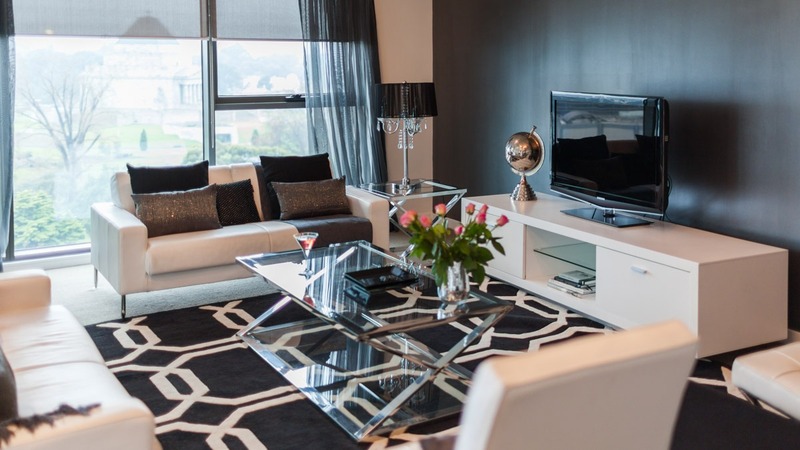 Sharni had a very clear vision for her living room, she wanted a chic New York style. A space that she could entertain in and would accommodate her friends and family, as well as take advantage of the great views of opposite park lands and iconic structures such as the Shrine of Remembrance. 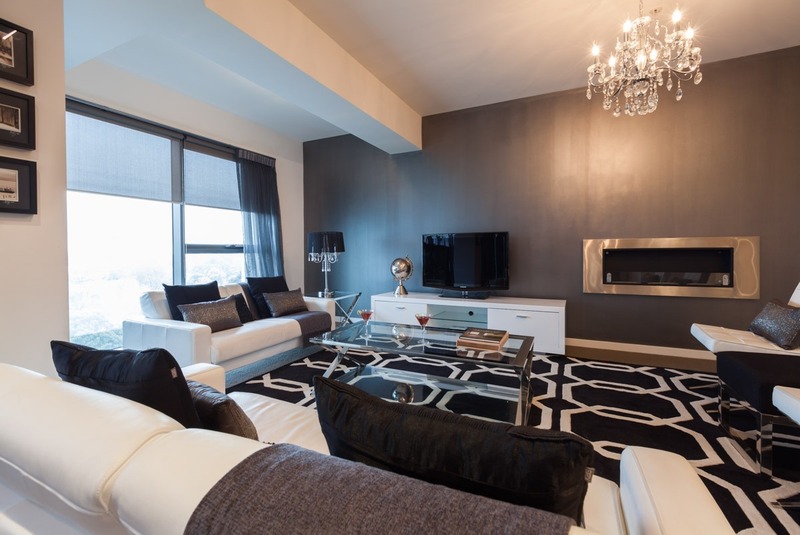 The first step for this space was to confirm the style goal and colour scheme. 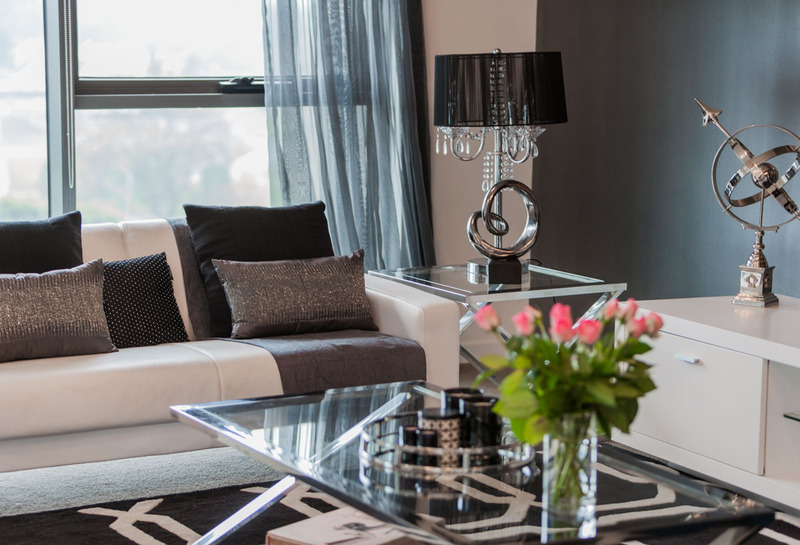 As Sharni already had predominantly white leather pieces of furniture, we decided on a white, black, grey colour scheme which was perfect to achieve the chic New York style aesthetic. 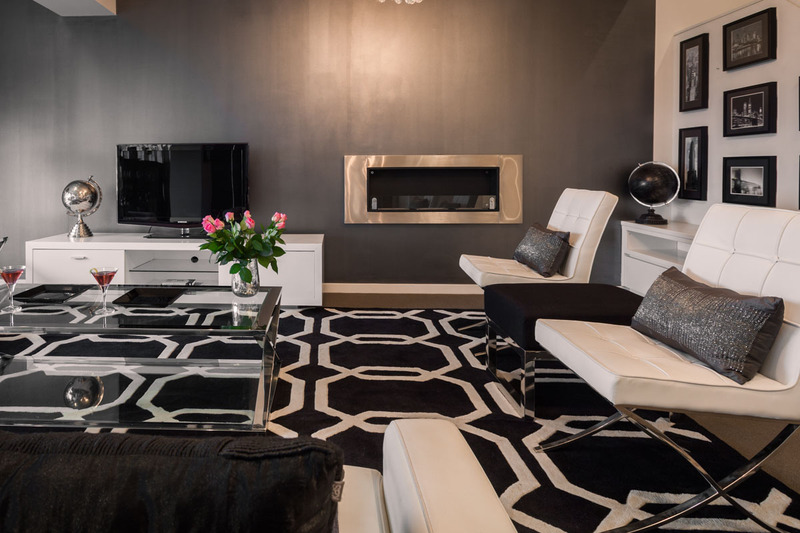 We corrected the colour balance by introducing a grey metallic feature wall and a dramatic black and white geometric rug as the focal point. 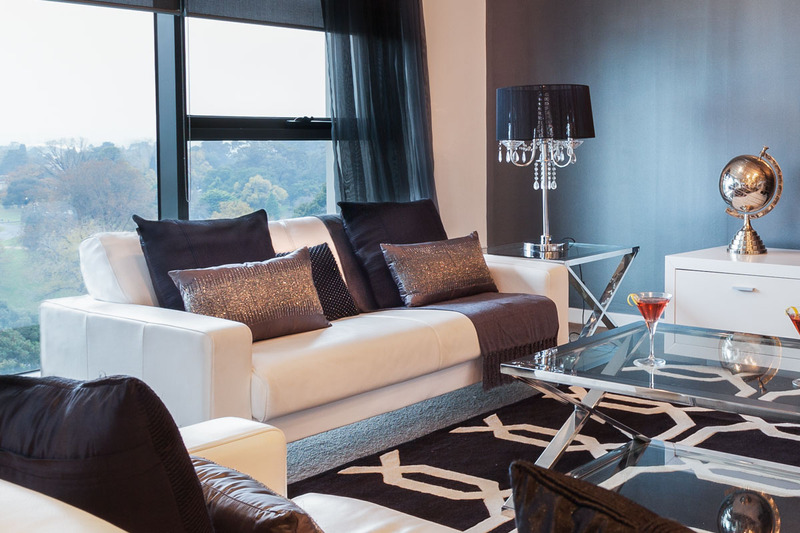 We added black and grey accessories in the cushions, throw and stool. 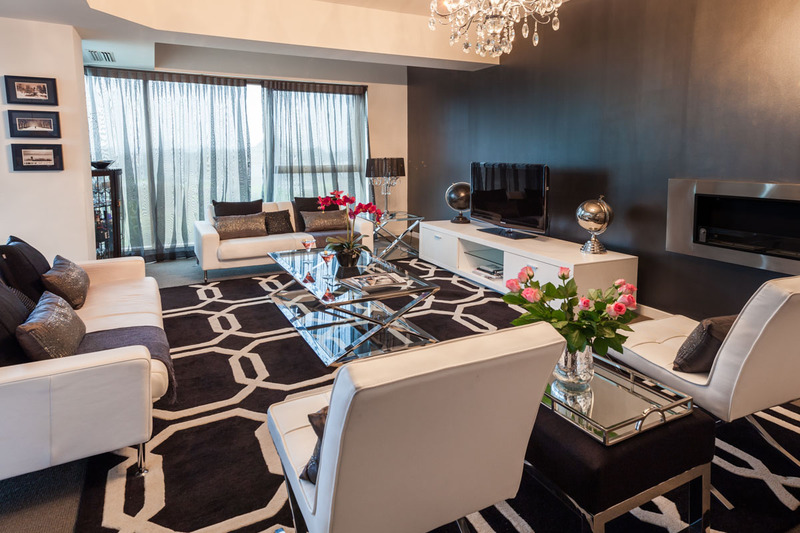 The light fittings in black and chrome, as well as the chandelier provided ornamental and mood lighting. We also added sheer window treatments to soften the space and control the bright natural light the space received. A central aspect to this project was a piece of graffiti art specifically commissioned for the balcony. 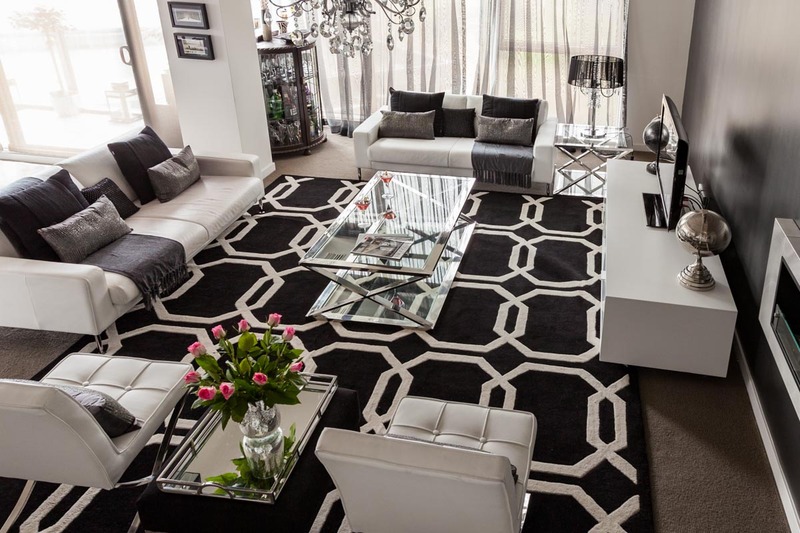 This piece is both chic and edgy and continues the style for a seamless indoor outdoor interior design. 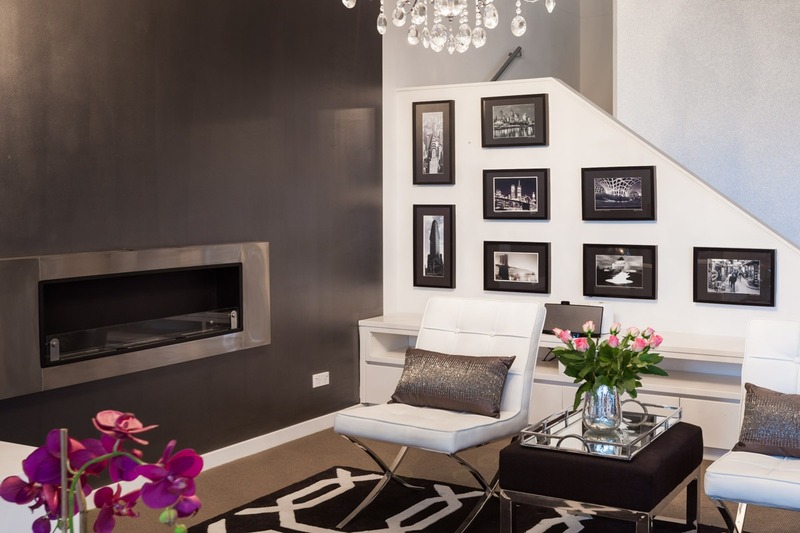 “Trish did an amazing job of designing my apartment. She understood my style and came up with so many great options and ideas that I would never have thought of myself – but that I absolutely love, especially the graffiti. Trish not only saved me significant money (eg through sourcing more cost effective alternatives) but also came up with ideas to solve some really tricky design problems that I had been grappling with. Trish made it such a fun experience and I learnt so much throughout the process – not only did she listen to what I wanted but she was able to explain the rationale behind her ideas and the pieces she selected which was great. She made sure all the options were practical and worked within my space and she was able to incorporate all my existing pieces and ideas which was really important to me. Trish recommended some trades people which showed up on time, did high quality work and were also great to work with.